Like you see, Pokemon Red 151 post includes parts: Description (Story/Plot included in this part), Screenshots, Images, How to download. If some trailers are not available, we will add later. 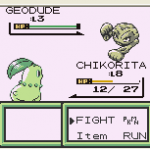 A Pokemon ROM/Game hack by Blue using Pokemon Red Codebase/Engine in English. It is available to download now. The last update happened on January 24, 2018. Pokemon Red 151 is the hack of our classical game Pokemon Red. Instead of a completely new hacked game, it is just a slight modification about the ways to catch Pokemon and something else. All right, we will talk about that much later in this article. Can you remember all the things of the old Pokemon Red? If so, you’ve had a beautiful childhood. Same as me. From the days I was a kid, I got a Gameboy Color and Pokemon Red for myself. The first time to become Red with his great Pokemon journey… it was so excited, yah. Red is a boy who lives in a small place called Pallet Town. He always dream about becoming a true Pokemon trainer. One day, he gets a Pokemon with a Pokedex from Professor Oak – his neighbor. From this moment, the way to Kanto Pokemon League is not so far anymore. Red was born to be the very best, and the same as you! You can get all 151 Pokemon in this game through different methods and ways. The difficulty is raised to a higher level. All stats of Pokemon have been changed. Some Pokemon are required for in-game trades. The game is now full colored.